Halloween III. 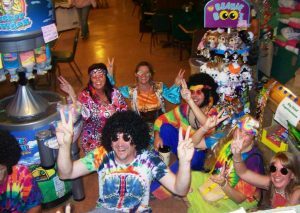 Haunted House Food Drive, Costume Dance & Contest, Trick or Treating, Site decorating contest, and Bingo. 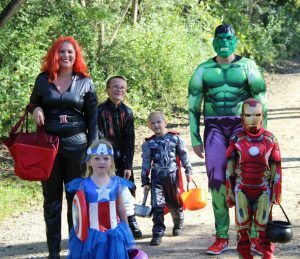 We have three fun filled Halloween themed weekends to choose from. 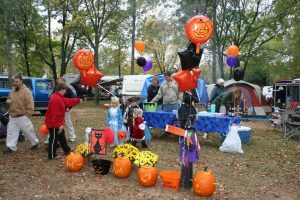 Help make the campground look festive by decorating your site for the site decorating contest. Enjoy Halloween Bingo in the morning and be scared in the afternoon in the Haunted House. There is a not-so-scary haunted house for the little ones with the lights on and masks off. 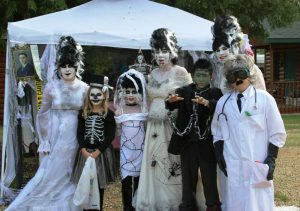 Be sure to go through our Grub for Ghouls Haunted House. Entry fee is a non-perishable food item or $1. All food will be donated to the local Helping Hands food pantry and all money collected will be used to purchase supplies to donate to the food pantry as well. 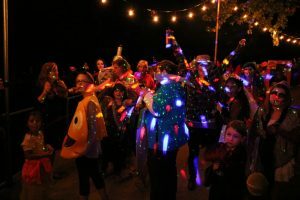 Kids can go site to site Trick-or-Treating and then dance the night away at the DJ costume dance by Beyond Entertainment. 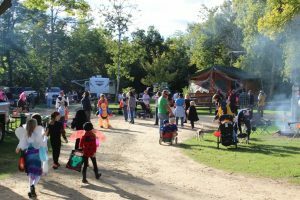 Enjoy fall camping at its finest at Indian Trails and help us celebrate Halloween.